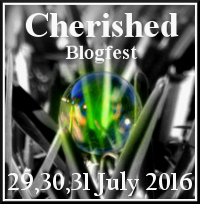 The Cherished Blogfest Turns Two! Last year, a small group of blog-buddies organized a blogfest. We called it the Cherished Blogfest and we asked people to share, in a few hundred words, something that they cherish. Well over 100 people participated. People shared stories about things, about memories, about emotions and about other people. We shared moving stories, important stories and, more importantly, many of us made new friends. All you have to do is to write a blog post. Post it at the designated time. Fill out a Linky thing and read a few posts. Visit the new home of the Cherished Blogfest. 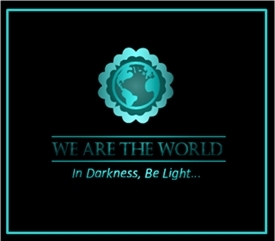 Above all, join us in making new connections, and renewing old ones and sharing your special toughts. Great work, Dan! I’ll post mine in the next hour. Dan, you’re wonderful for doing this. Sorry I had to drop the ball on organizing it this year, but hope to help publicize it. My post should be up tomorrow! Great work Dan. I really appreciate you taking the initiative out of your busy schedule. You’re my inspiration and I am really looking forward to reading your post. I participated last year and enjoyed writing and sharing about my cherished object. Looking forward to participate this year too. Thanks! I’m glad to see you return. I really enjoyed reading the stories last year. I think I’m actually looking forward more to reading than writing. I’m so happy that you are doing this again! I look forward to sharing my item (not sure yet) and reading about others. “All you have to do is to write a blog post.” You make it sound so easy! Alas, I’m lucky to do two a month over on my blog. But I’m glad the group is excited — hope it’s fun for you all! Paul, Paul, Paul – you must have a ball cap, a beer tap handle, a TZ book that you can peck out a couple hundred words about. I realize that the editor in you won’t let you just peck something out, but, you know what I mean. It is a great way to bring attention to your wonderful blog. However, if you can’t join us, I do appreciate your cheering us on. I COULD, but man, I’d feel as if I’m cheating my own readers. But you can count on the cheering on, yes! It was a lot of fun Jan. I did this last year and it was fun! I need to think of a topic for this year…..
haha! Oh, Dan, that’s too funny! However…..quite a good topic. What a fun way to connect and reconnect people! Great stuff! You’ve probably added to the list, Christine so it won’t be any easier this year to narrow it down to one item. I’d like to do this, but it looked to me as though I had to have a title for the post already. Should I just be entering my blog address? Hi Janet. Yes, just enter your blog address today. When the blogfest is active (29-31) there will be a second Linkty thing so we can preserve the actual post(s). By entering your info today, it will give people a chance to meet each other. Also, we’re going to do a little pre-promotion. I hope you will join us. Great! If you’re anything like me, the hard part is narrowing it down to one thing. Good luck (you have a month). I’m so glad I found this again this year. Thanks Dan for hosting it and I hope to have my blog post up in a few hours. Thanks but NOT SO FAST! – The actual blogfest doesn’t start until July 29. It runs three days (Fri-Sat-Sun) and there will be a 2nd list to link the actual post to at that time. This post was just to give folks a head’s up. You know, so you can narrow all those cherished things down to one item. Oh hahahha – I misread July for June.